One type of natural ingredient commonly found in skin care products is extracts — these are extracts of fruits, flowers and other plants that, when combined with other organic ingredients, have maximum health benefits. Because society has become more aware of the benefits of using products made with natural ingredients, retailers have listened, and the list of organic skincare products you have to try out keeps getting longer. Rosemary extract is an age-defying ingredient that helps to shield skin from free radicals. It’s an antioxidant that helps to slow down ageing and strengthens the elasticity of your skin to provide a more youthful appearance. According to WebMD, this extract is also used to help circulation, gingivitis, eczema, muscle pain and more — it even helps digestion problems! This extract is used in various skin care products like Grown Alchemist’s Hydra+ Facial Cleanser. The cleanser is comprised of Rosemary C01 extract and a variety of other natural oils and extracts to help rejuvenate skin. 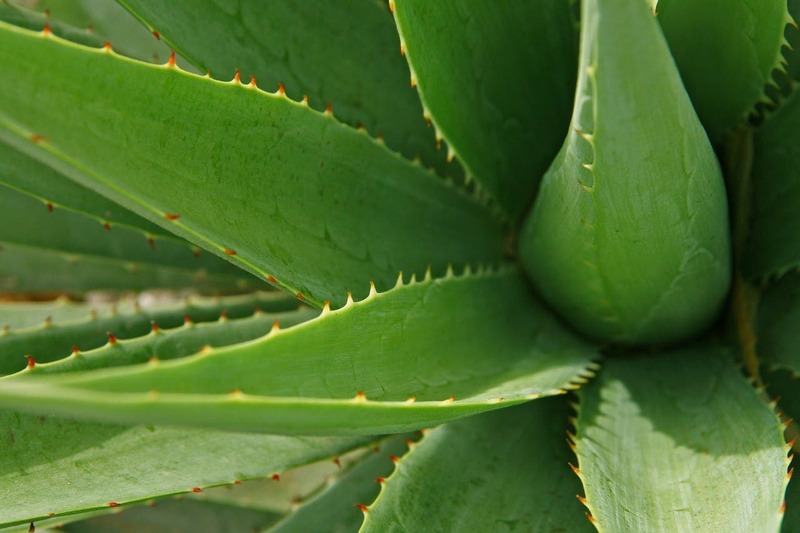 We all know that aloe vera helps to cool down burns, but what you may not know is how your skin can benefit from the plant’s extract. According to Medical News Today, the extract has antioxidant properties and destroys bacteria. Because of this, it is effective for skin conditions or any cuts. The extract also acts as a great moisturizer, can treat acne, and has multiple anti-ageing properties — this is why it is so often used in skin care products. For one, Grown Alchemist’s Detox Serum includes aloe vera leaf extract in combination with other natural antioxidant ingredients that protect and hydrate skin. The benefits of natural olive oil are well known, but what is less known are the healing properties of olive leaf extract. Olive leaf extract is an antioxidant that can smooth, firm, and hydrate your skin — it can even reduce age lines, reduce your pore size, and even out your skin tone! In other words, this extract is the natural age-defying ingredient you’re going to want to have in your creams and other skin care products. Olive leaf extract is the main ingredient in Grown Alchemist’s Hydra-Restore Cream, a gentle cleanser that removes makeup and hydrates your face thanks to its natural ingredients ranging from olive and aloe vera leaf extracts to other nutrients and minerals. Fruit extracts are used in a wide variety of skin care products. Grown Alchemist’s Enzyme Facial Exfoliant, for example, is made with a variety of fruit extracts ranging from papaya to fig. Papaya extract (carica papaya), for one, contains high levels of papain, which dissolves into keratin when it comes in contact with skin. This property helps to cleanse your skin of dead skin cells. There are a variety of fruit extracts used in skin products to help nourish and hydrate your skin. White willow bark extract is one of the many natural ingredients in Grown Alchemist’s Gentle Gel Facial Cleanser. This extract has been used for decades as a pain reliever but has more recently been integrated into beauty products due to how it can benefit your skin. Willow bark contains salicylic acid, which is a natural exfoliant known to help treat acne. It also has anti-inflammatory properties, which provides a whole other set of benefits for your skin including getting rid of dead skin cells. These extracts are commonly combined with other natural ingredients. Next time you look for a new cleansing product, be sure to see if it has any of these nourishing ingredients!